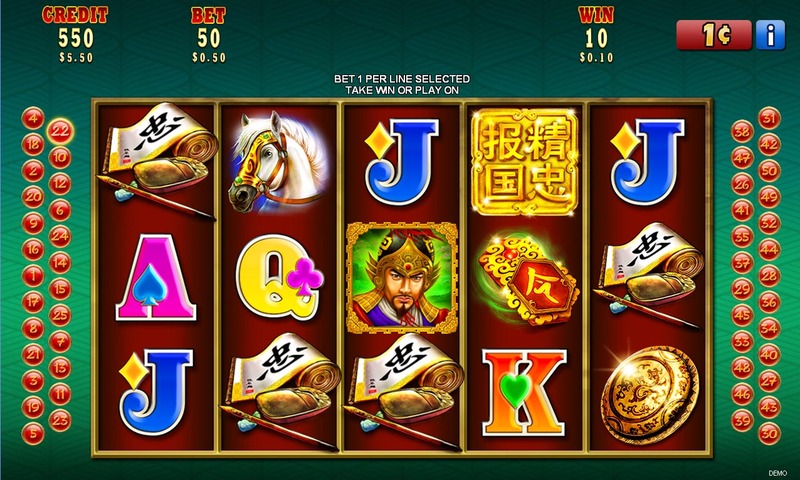 Fight alongside the legendary Yue Fei! Behold his formidable spear as he commands his army to a battle after battle. 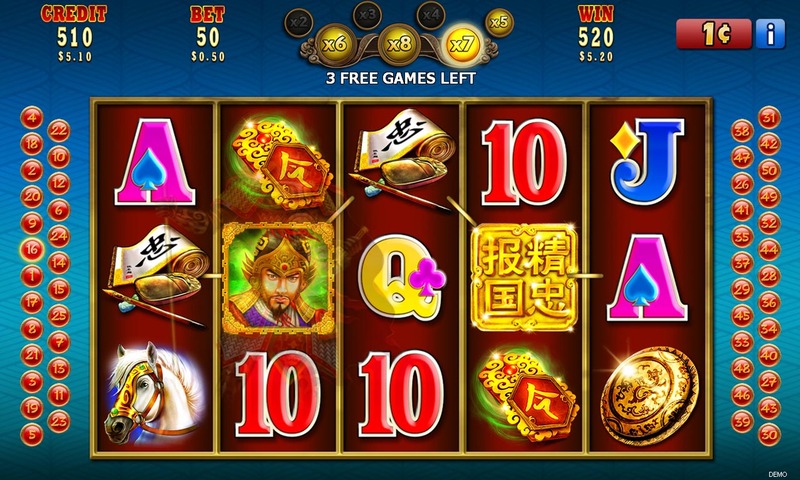 Your bravery during the free games will be rewarded with big wins and increasing multipliers. 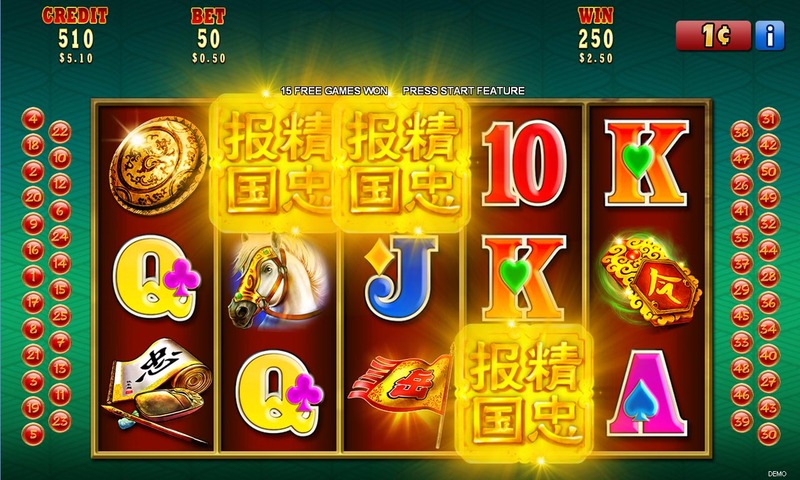 Honorable rewards await you in this enthralling 50 line game. ×2 - possible multipliers are ×2, ×3, ×4, ×5, ×6, ×7 or ×8. x3 - possible multipliers are ×3, ×4, ×5, x6, ×7 or ×8. x4 - possible multipliers are ×4, ×5, x6, ×7 or ×8. x5 - possible multipliers are ×5, x6, ×7 or ×8. x6 - possible multipliers are x6, ×7 or ×8. x7 - possible multipliers are ×7 or ×8. x8 - possible multiplier is ×8.